If you happened to be awake at 3:56 a.m. in Phoenix, Arizona, on June 2, you might have noticed something odd: daytime – or what looked like daytime. For a few seconds, the night sky lit up due to a small asteroid cutting through Arizona’s skies. According to Space.com, the asteroid measured about 10 feet and hit Earth’s atmosphere east of the Arizona town of Payson. The impact of the rock with the atmosphere created a fireball so bright it blinded NASA’s sky cameras all the way to New Mexico. The asteroid was traveling at about 40,200 miles per hour, according to a NASA statement. The scientists are having difficulty learning about the asteroid as all the cameras are almost completely saturated with light. 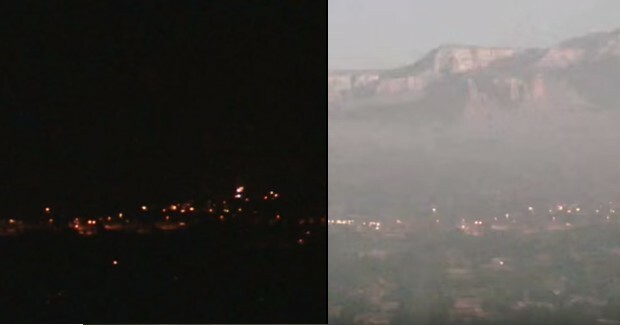 Others were able to catch the aftermath of the fireball on video the next morning.